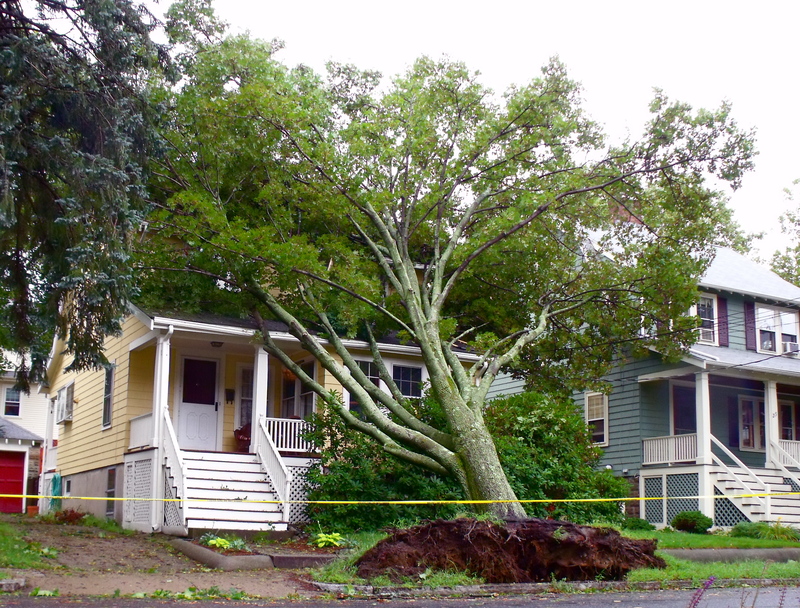 A tree, ripped from the ground by high winds, rests against the front of a Highland Avenue home. August 28, 2011. 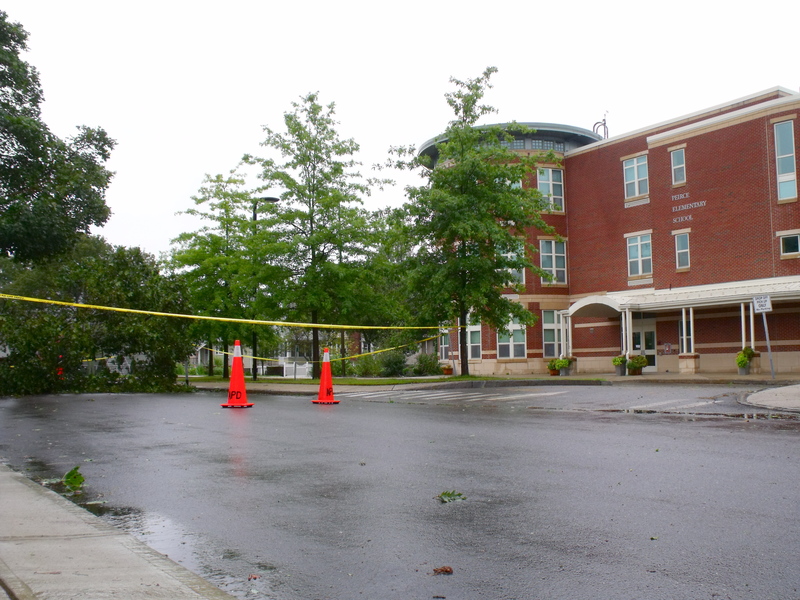 A tree blocks the road in front of Peirce Elementary School. August 28, 2011. 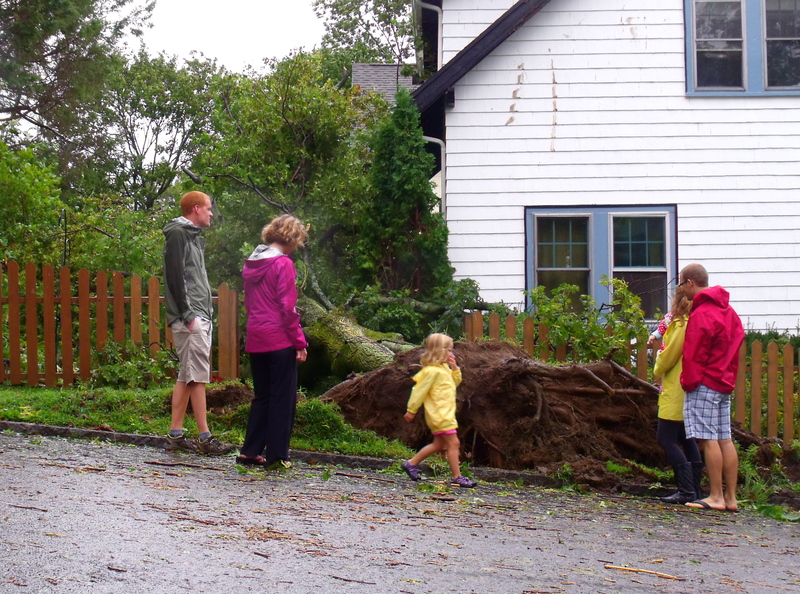 Families out for a walk stop to look at a downed tree on Eastern Avenue. August 28, 2011. 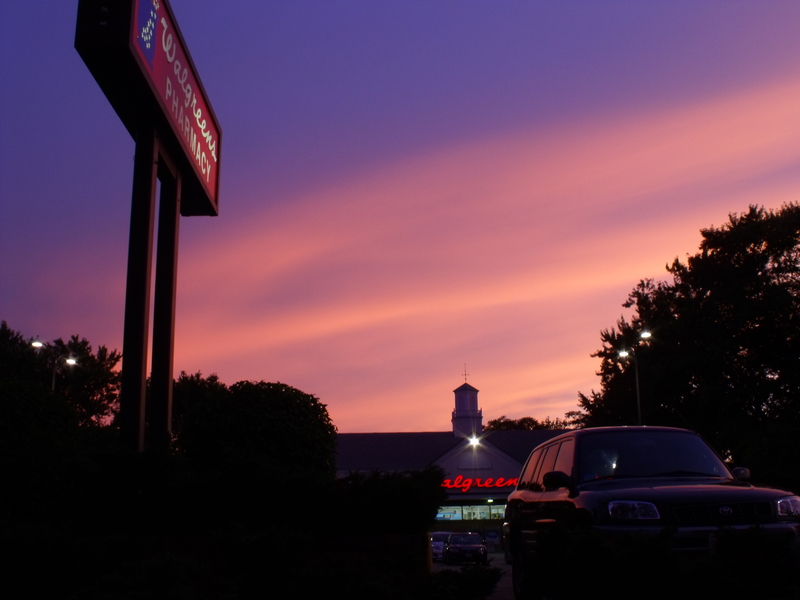 The twilight sky over Walgreens near Arlington Center. August 1, 2011. 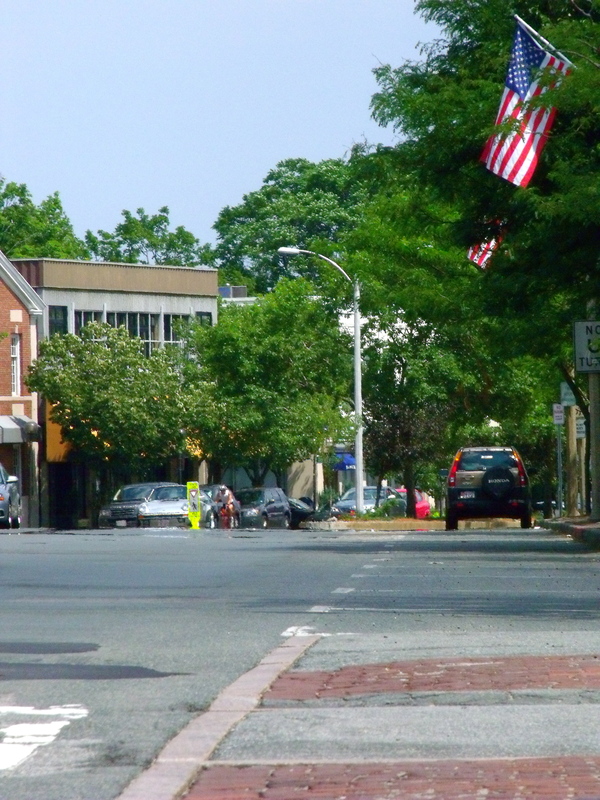 The July holiday means lots of people on vacation or at home, which means plenty of parking in Arlington Center. July 4, 2011. 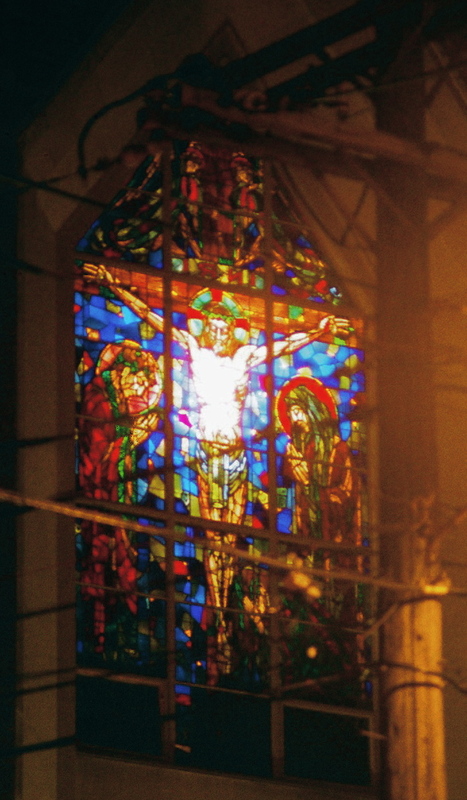 The stained glass window of St. Athanasius the Great Greek Orthodox Church on Appleton Street. July 2, 2011. 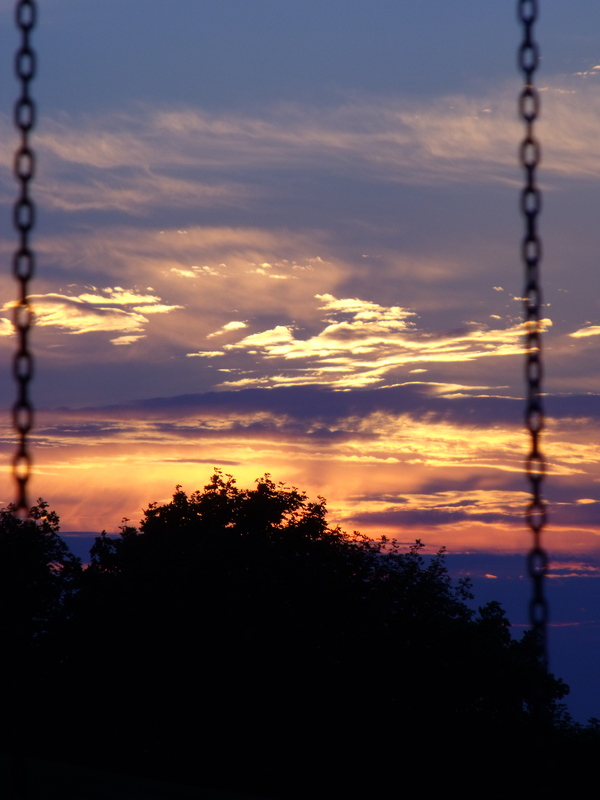 The chains of a Robbins Farm Playground swing silhouetted against the morning sky on August 1, 2011.